Disney-Pixar animated feature The Incredibles, is born in Spokane, Washington. RKO Pictures re-releases the film Snow White and the Seven Dwarfs in New York theaters. The Lizzie McGuire episode "Grand Ole Grandma" debuts on Disney Channel. Disney's Alice Comedy Alice's Auto Race, featuring Margie Gay, is released. The Disneyland series airs the episode "Where Do The Stories Come From?" 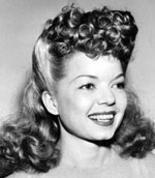 song for Daisy Duck, "Crazy Over Daisy," and explaining how that song inspired a Donald Duck cartoon short. Ark, Donald in Mathmagic Land, and Mysteries of the Deep are all edged out by their competitors. Chart-topping acts Britney Spears and 98 Degrees hip-hop down Main Street, U.S.A. during the 14th annual Walt Disney World Happy Easter Parade. The event is broadcast on ABC-TV. Walt Disney Records releases both Disneymania 4 (the follow up to the platinum-selling Disneymania CDs) and Disney's Karaoke Series: Disneymania Volume 2.
the first month of release. Man's Best Friend, a Disney short directed by Jack Kinney, is released. The cartoon features Goofy as the owner of a new puppy. 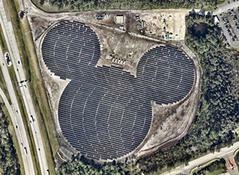 The largest Hidden Mickey at Walt Disney World is a solar farm arranged into the shape of the famous mouse ears near Epcot. Made out of 48,000 solar panels, it sits on a 20-acre solar facility located near World Drive and Epcot Center Drive. skates and dance to rock music. portrayed Connie Munroe (Sonny's mom) on Disney Channel's Sonny with a Chance. At Shea's Buffalo (in Buffalo, New York) Walt Disney's Fantasia - the complete, uncut 1940 roadshow version - is screened. Disney Channel's newest animated series Special Agent Oso debuts in the U.S. with two back-to-back episodes. Actor Sean Astin is the voice of Oso, a fuzzy, lovable, bumbling special agent-in-training who enlists the help of viewers at home to complete his assignments. recurring epidemics of the disease have unfortunately reduced kudu populations in East Africa. Democrat in Illinois, and The Times Leader in Wilkes-Barre, Pennsylvania. Disney Channel debuts its newest sitcom Good Luck Charlie, drawing 4.8 million viewers. his newest book; Kingdom Keepers IV: Power Play. enthusiasts, it is the first time that Walt personally operates a scale-railroad. 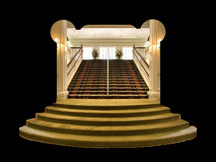 Walt Disney Studios Motion Pictures, is released in U.S. theaters. his role as a manager of strategic planning to senior vice president of strategic planning and development in 1995.
employees. On February 5, 2015, Staggs was named chief operating officer of The Walt Disney Company. Staggs will step down as COO, effective May 6, 2016. Garry Shandling (his final film credit). The Jungle Book will open nationwide April 15.
the 2000 follow-up The Little Mermaid II: Return to the Sea, is born in Chicago, Illinois. writer, voice of Snow White), Moana (story writer), and Bears (narration consultant).